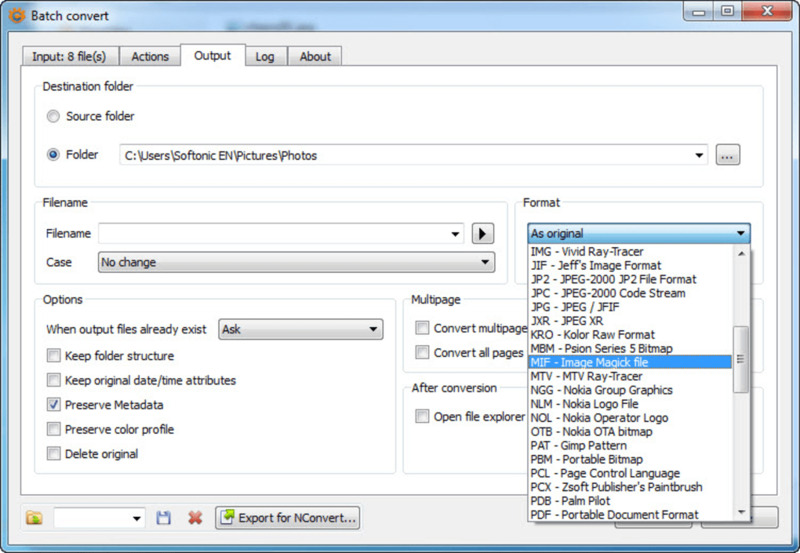 XnConvert is a handy batch processing image editor that enables you to apply changes to several photos at the same time with just a single mouse click. 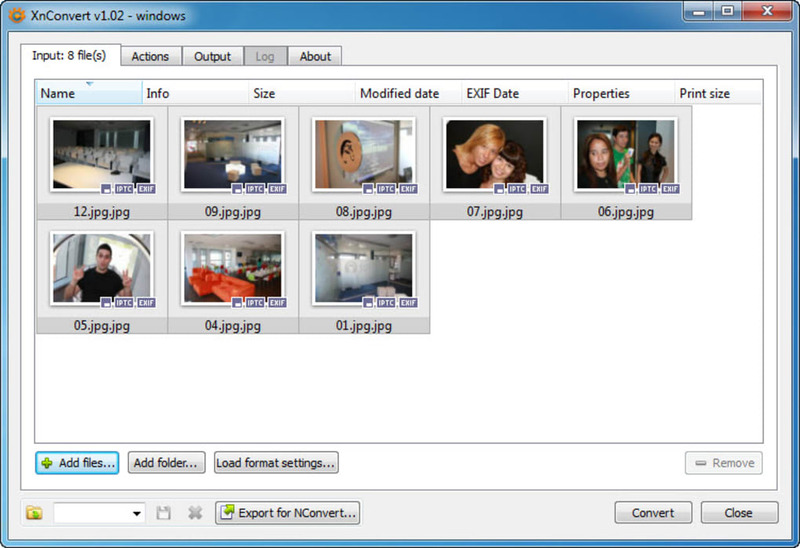 The interface in XnConvert has a very simple design. It features a series of tabs on top where you can select files, pick the actions you want to apply to them, choose the output folder and tweak other options, and check the results log, respectively. The best thing about XnConvert is that it can work with almost any image, as it has support for more than 500 graphic file formats. 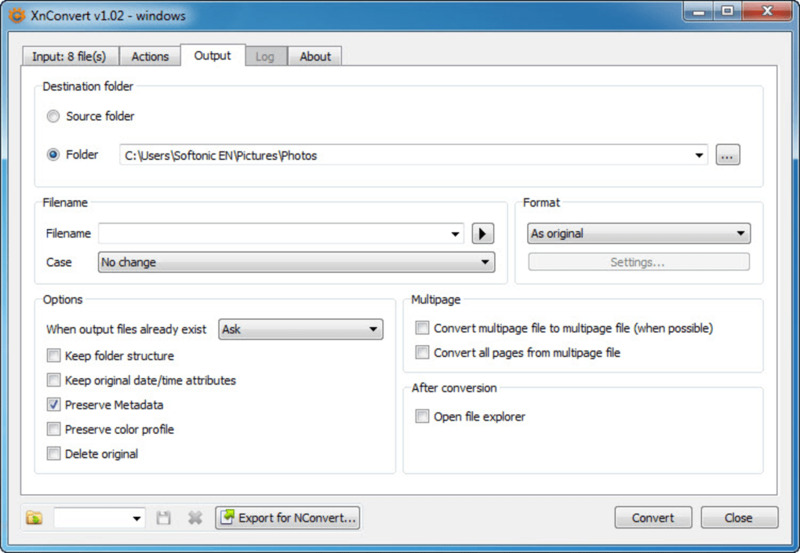 The program also features a preview window – though a bit too small to be comfortable – so that you can check the outcome before the changes are definitely applied in XnConvert. 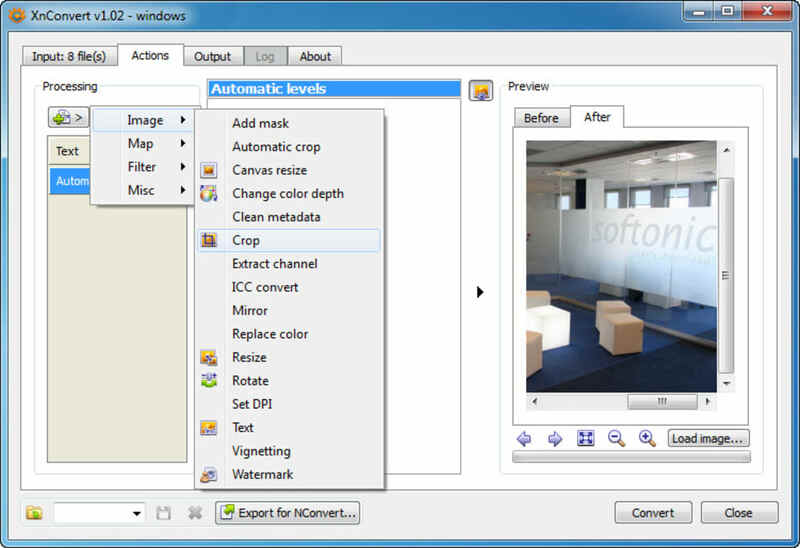 Among the actions included in XnConvert you’ll find cropping, resizing, converting from one format to another, rotating, adding a text or a watermark, adjusting levels, contrast and shadows, and various filters and effects such as blur, emboss, sepia and oil painting, among others. XnConvert lets you work with images in batches and apply different filters, effects and other editing actions to them with just one click. my no 1 - works great - love it. my no 1 - works great - love it !!!!!!!!!!!!!!!!!!!!!!!!!!!!!!!!!!!!!!!!!!!!!!!!!!!!!!!!!!!!!!!!!!!!!!!!!!!!!!!!!!!!!!!!!!!!!!!!!!!!!!!!!!!!!!!!!!!!! !